Sentiment among U.S. homebuilders rose for the first time in three months. 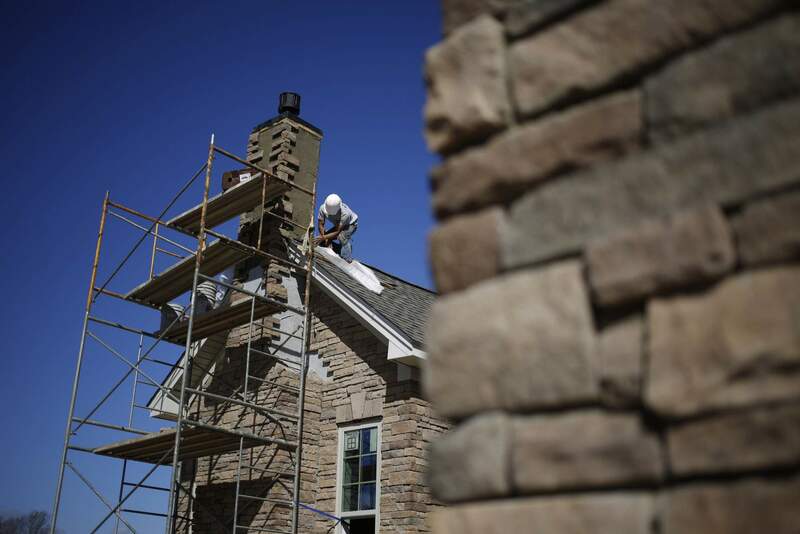 NEW YORK – Sentiment among U.S. homebuilders rose for the first time in three months amid a decline in borrowing costs, a sign that housing may stabilize in the year ahead even as the industry remains in a broad slowdown. The National Association of Home Builders/Wells Fargo Housing Market Index increased to 58 in January from a three-year low of 56 in the prior month, according to a report Wednesday. The median estimate of economists called for the gauge to be unchanged. The latest results provide some respite after a steep drop in the prior two months intensified concern about a more serious slowdown in housing, an industry that’s sensitive to higher borrowing costs. Mortgage rates have fallen to the lowest since April, and loan applications have surged over the past two weeks. All three index components rose, including a gauge of the six-month sales outlook and a measure of current sales for single-family homes. That suggests builders see some potential for demand to stabilize as a pickup in housing inventory and cooling home-price growth make purchases more affordable. While the overall index fell in eight of the past 12 months, developers’ confidence is still getting support from a strong job market and last year’s tax cuts. A gauge of prospective buyer traffic increased to 44 from 43. Readings above 50 for the indexes indicate more builders view conditions as good than poor. Builder sentiment in the Northeast jumped the most in four months, and increased in the West. The South was unchanged, while the Midwest slipped to a three-year low. The partial U.S. government shutdown will delay the December housing-starts data, which would have been released Thursday. The November report on new home sales, scheduled for release late last month, has also been postponed.